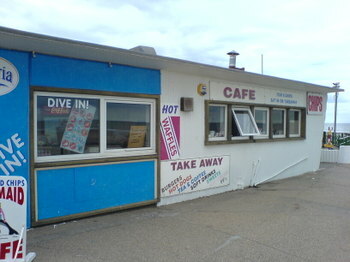 The Mermaid cafe is a marvelous place, which looks slightly like a bit of a ship, on the Prom at Mablethorpe. I only had my phone to take photos so they're a bit grainy. 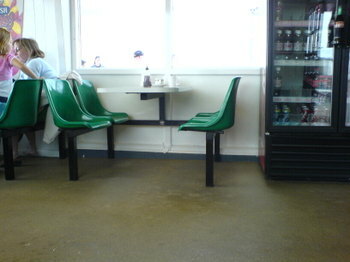 But I think that's somehow appropriate to the mood of the place. 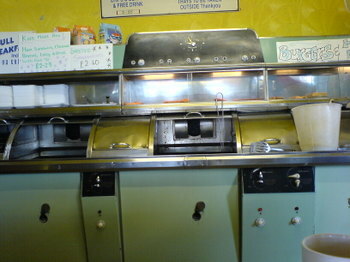 I always love it when you get chip shop chips mixed in with a fry-up. 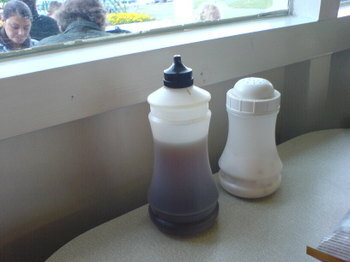 It's like too culinary cultures colliding, and it often spills over the side of the plate. In a splendid way. Look at the lovely fatness of the chips and those chaotic beans. And the egg is completely hidden. Trust me it's there. Ready to surprise and delight you. And the bacon is lurking as well, ready to push you over the edge into full-fledged groaning stomachness. Perfect. 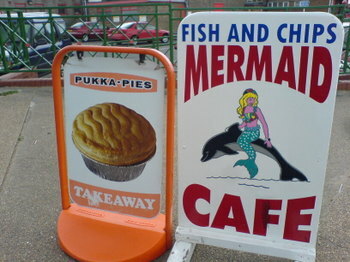 And pukka-pies endorsement is always a sign of quality. 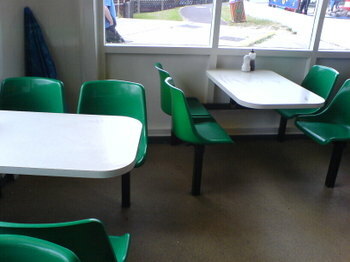 Lots of people hate these bolted-in chairs. Why? I love them. I think it enforces family intimacy, always a good idea on a holiday. 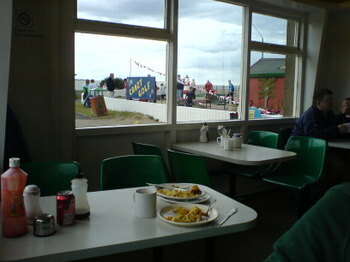 And the best crazy golf course in the UK is right outside the window. 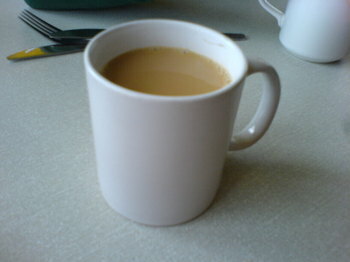 And this is the best thing. They've painted a sea on the ceiling. 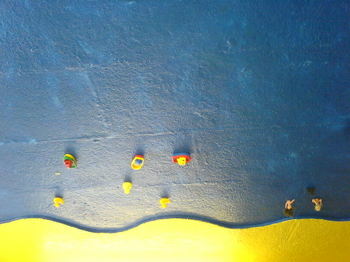 And stuck little boats on it, with two little Barbies as the mermaids. Brilliant. 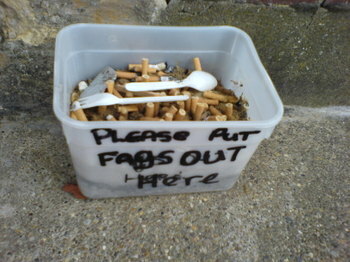 And you can put your fags in here. I have loaned my body out to help the progression of medical science, and so am stuck in a ward at the moment on a low fat diet. 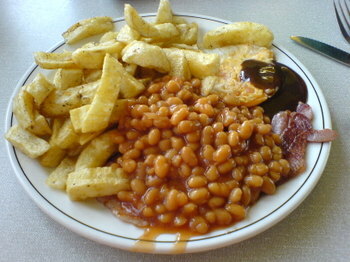 The fry-up/chip combo looks amazing, but why the choice of brown sauce? Do you ever substitute it for Tommy K, or is it brown all the way?